Ben Mason, Director of Sport at Durham School, describes how working with CBB to host young orphaned Indian cricketers as an overwhelmingly positive experience, adding that he feels he and the school are in it for the long haul. Durham School – which recently celebrated its 600th anniversary – welcomed Rupesh Borade for four weeks in 2015. Rupesh witnessed the suicide of his parents (due to extreme poverty) at just six years of age and now lives, along with 200 others, in the Chembur Children’s home. 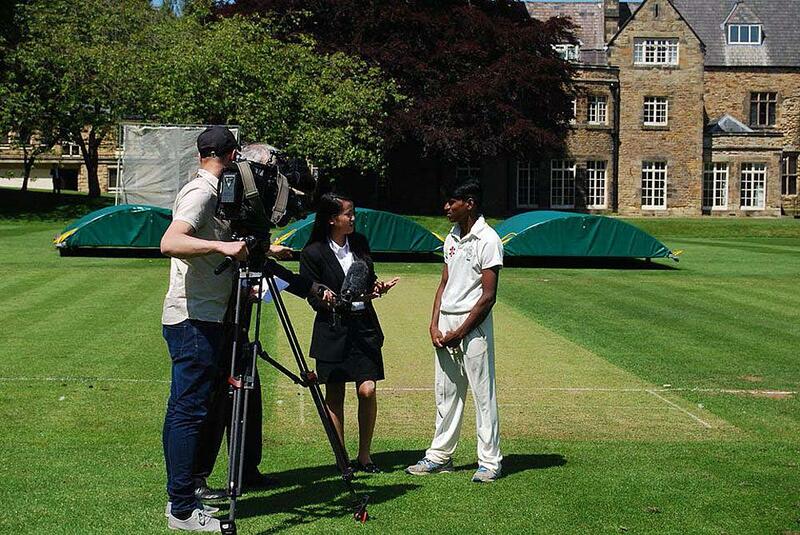 Here Ben talks about the school’s association with Cricket Beyond Boundaries, how Rupesh spent his time with them and the impact the partnership has made. Following a game between Durham School and the MCC in 2014, Dr Samir Pathak and I got chatting about a number of different projects that both of us were looking into in terms of international students getting the opportunity to come over to UK schools, predominantly through sport, and Samir mentioned that he had done some work with Cheadle Hulme School in terms of creating opportunities for some Indians. From Durham School’s perspective and my perspective, we love being able to create opportunities for students who don’t have as much as ours so we looked at the possibility of some orphaned cricketers coming over. It was quite an easy decision for the school to make – essentially putting up a boy for a few weeks in the summer term in one of our boarding houses so the school covered the cost from that point of view. That got the ball rolling and then Rupesh ended up joining us last summer. It’s been a fantastic experience for both Rupesh and the boys and girls at Durham School. Samir and I didn’t realise how big the impact would be. In a sense we thought the impact on Rupesh was going to be pretty massive but I think we were pleasantly surprised by the actual impact he had on Durham School students. He was in a boarding house with a few Fijians, a couple of Germans and South Africans, so it wasn’t just the English culture that Rupesh was getting to know, but a number of different cultures. For him to come out of the orphanage in Mumbai, and to come to one of England’s oldest schools was always going to be a bit of a shock but it turned out that sport and cricket broke down the language barrier. In the first few hours you could see he was a bit nervous but as soon as he got out onto the cricket pitch and everybody knew the same language the boundaries had been broken and he was off and running. The first couple of hours in a day he would have a one on one English lesson with our English As A Foreign Language teachers, and that was fantastic for developing his English. For the second half of the morning he would attend a couple of lessons so he could get a feel for putting that English in place and hearing it in an educational context; hopefully he will have picked something up from the lessons as well. Then in the afternoon, he would just do cricket, so if there was a junior session on he would help coach the juniors – our under 12s or under 13s – which was again a chance for them to see him but also for him to then work on his English with some of the younger kids. If it was a senior session he would train as normal so he played a few first team games and a few second team games and then at the end of the school day he played for one of the local cricket clubs either playing for their age-group side or their second team so he’d be playing every single night. Mike Fishwick, who is the Director of Cricket here, occasionally swung by to get some Indian cuisine to try to help him feel a little bit more like home, but I think his comments were that it wasn’t hot enough, even when it was as hot as they could make it! 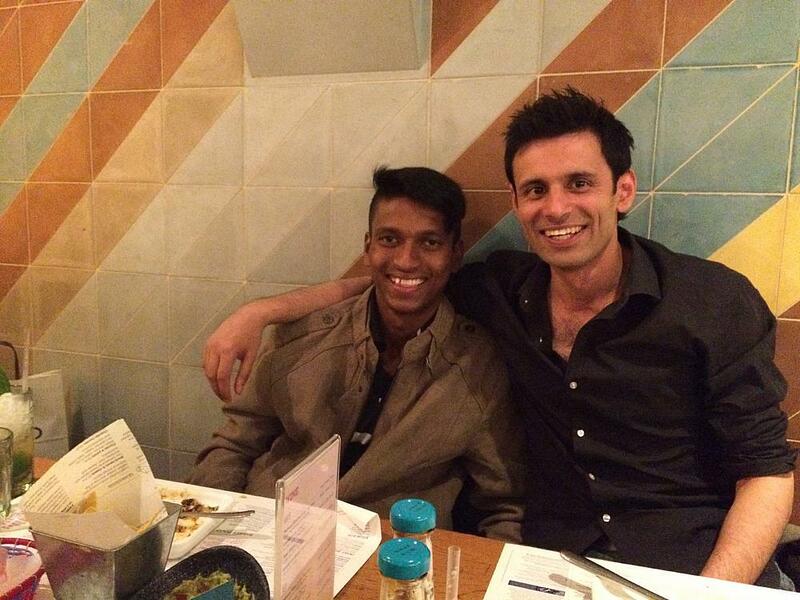 The programme and Rupesh had a huge impact on us all. Shortly before he left, a number of students who had become friendly with him did a whip-round among the other students and sent him back home with £100 (they couldn’t get it changed into rupees as the local office didn’t have them) in cash and that works out as the equivalent of five month’s wages when he went home. I believe as soon as he got home he gave it to his Auntie for the benefit of his whole family as opposed to keeping it to himself which I think is very much the culture in India. They sent him away with that and I think he had to pay £40 in excess baggage fees because the students had given him a load of clothes and cricket equipment to take back to the other kids in the orphanage. We had an end of year leaver’s service after our final day of school in the chapel where a collection is made and every year it goes to a different charity so this year it went to Cricket Beyond Boundaries. The students and parents at the service managed to raise £2,000 and that’s gone out to pay for a water fountain, so for the first time they can have running water at the orphanage and also to pay for an English teacher for the year. Two thousand pounds goes a long way so that was testimony to the impact that Rupesh had on the students and just how much they wanted to help him and send him back with as much as they could. That was kind of the big change that we saw in our students, as well as the day-to-day stuff. I think as it dawned on the students just where Rupesh had come from, the circumstances of how he became an orphan and the fact that he lives on 18 pence a day, all of those things had a real impact on our students in terms of them appreciating what they have. The impact reached the wider community as well. Samir was with him recently at the Chembur Children’s Home just before the Duke and Duchess’s trip and speaks about how his personality had changed – surely proof of how sport can be used positively to transform people’s lives. Rupesh’s story highlights the resilience of human character and how he can still come out on top despite having seen such tragedy at a young age. He has become a much more confident young man and his positive attitude is inspirational for the other youngsters he trained with. It was just a fantastic experience and from our headmaster’s point of view we are going to do the same this year so after half-term we’ve got Rupesh and another boy coming over. It’s all positive and the positives far outweigh any negatives. Some would argue ‘how is bringing a boy from an orphanage in India to one of the most prestigious boarding schools in the North East going to help him when he goes back’, but speaking to some of the guys out in India, including Sahil Kukreja, he says that it’s more about the impact that that one visit will have on the other boys and girls in the orphanage. It is inspiration for them to see that there is more out there than what they see and experience on a day-to-day basis and that there is plenty to aspire to. Hopefully we can do similar for the two boys we are welcoming later this year and it will be a great experience for them. Durham School would like to think we are in this for the long haul and create as many opportunities as we can. With Samir we’ve had conversations about putting a student all the way through the school with possibly more of an academic profile as well as anything else, and to then potentially go to a UK university and then return to India with a stronger academic background and be able to help the country on a greater scale. The charity is fantastic, I think it’s a great concept. We even had a group of parents here visit our headmaster to see if as a collective group they could somehow contribute towards helping keeping Rupesh at the school and helping him see his time through. With Rupesh, we tried to give him the educational experience as well as the cricketing side of things and even things like the boys in the boarding house teaching him how to ride a bike as they thought it would be a good idea to teach him. There were all sorts of things like that, where both sides benefited. We would like to think that we gave him not just a cricketing experience, but an experience socially and educationally as well. The scheme has positively impacted both Durham School and the Children’s Home in Chembur, who obviously benefited via the water fountain and funds raised. It is also a small step in continuing to foster Indo-British relations via the sports fields.